The inland coastal waters of the Pacific Ocean in the state of Washington feature many wonderful locations for bird watching and photography. This area is located on the Pacific Flyway, a major north-south flyway for migratory birds that extends from Alaska to Central and South America. In addition to a large number of native birds, many other birds are seasonal visitors as they migrate through in the spring and fall, looking for food, breeding grounds or a warm place to winter. One not to be missed location on the flyway is Edmonds, Washington. Edmonds provides ample opportunities for year-round bird watching and photography, and also features a wide variety of shops and restaurants that enhance any visit. Conveniently located less than twenty miles from downtown Seattle, Edmonds is the first stop on the “Cascade Loop” of Audubon Washington’s “The Great Washington State Birding Trail,” because of the great bird watching in the area. Edmonds is an ideal bird watching stop because of its location on Puget Sound, the second largest estuary in the United States. Puget Sound is an arm of the Pacific Ocean that extends inland approximately 100 miles, with fourteen major rivers and thousands of smaller rivers and streams draining into it. The mix of salt and fresh waters in an estuary provides a nutrient-rich rest stop for migrating birds, and as such, many birds stop in Edmonds to rest and eat as they migrate along the flyway. Edmonds features a waterfront area and a nearby marsh – two distinct bird habitats that are a short walk apart. These two habitats, along with nearby forested areas, provide viewing opportunities for as many as 250 different species of birds. The Edmonds waterfront is a one mile long stretch of public walking paths, parks and a fishing pier. These provide convenient year-round viewing of Great Blue Herons, Bald Eagles, Cormorants, Belted Kingfishers, Ducks, Pigeon Guillemots and a variety of gulls. During the fall and winter seasons, bird watching along the waterfront really takes off with visits from a rich variety of shorebirds and seabirds, including Dunlin, Killdeer, Brant, Sandpipers, Grebes, Scoters and Goldeneye. Seasonal summer visitors include Ospreys and Terns. Located just a block away from the waterfront is the Edmonds Marsh. This marsh is one of a few remaining saltwater estuaries in the Puget Sound region, and is a unique habitat for birds and other wildlife. The marsh includes a boardwalk, viewing platforms and a surrounding pathway for viewing the birds in the marsh. 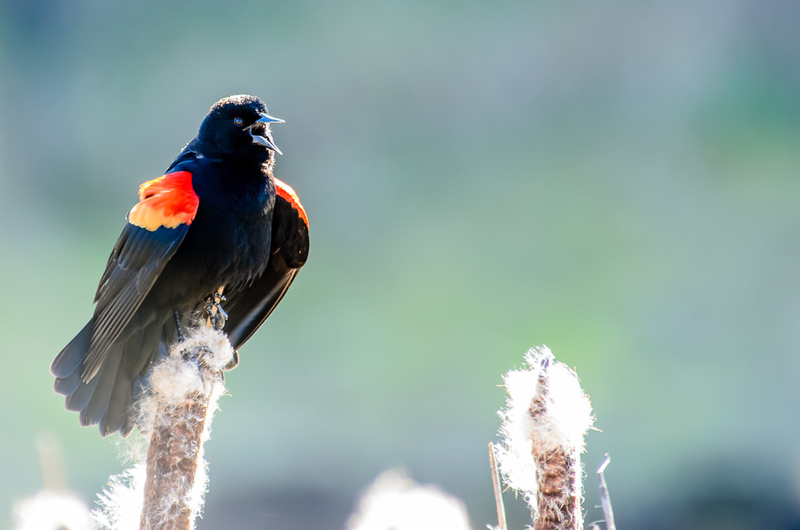 A few of the many birds that can be seen here at various times of the year include Anna’s Hummingbirds, Red-winged Blackbirds, Bewick’s Wrens, Great Blue Herons, Bald Eagles, Cooper’s Hawks and Falcons. 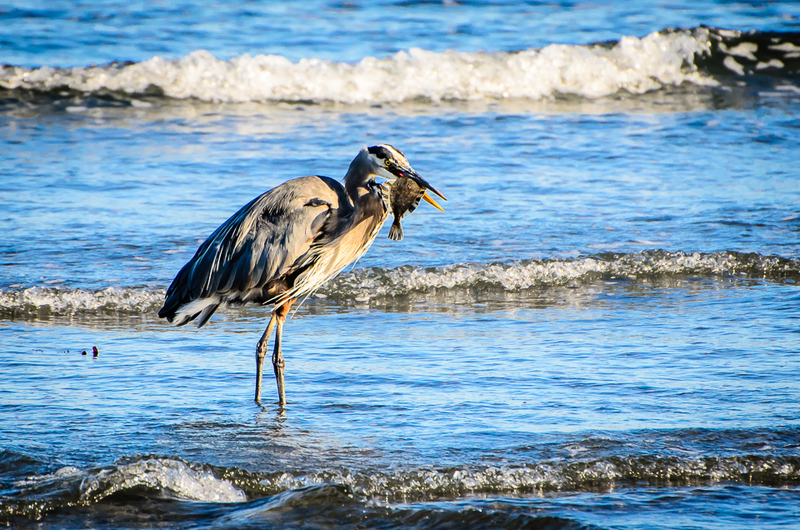 If you are in the Seattle area be sure to visit Edmonds for a great day of bird watching or photography! For an overview of birds and wildlife that can be seen in Edmonds, download the “Wildlife of Edmonds” poster from the City of Edmonds using the link below.